Getting on in years is a beautiful experience. However as we go on adding those years of expertise behind us, our body starts catching up with our age. This is evident with the various ailments that we fall prey to. Knowledge of the various diseases and the attentiveness towards the ​​symptoms,​​ which​​ our​​ body​​ reflects​​ is​​ the ​​key ​​to​​ make​​ our​​ lives​​healthier ​​and ​​happier. Crossing the fifty or sixties bar is marked by the onset of prodrome of eye illnesses. Our eyes grow old with us. They are prone to various changes that can be painful as well as perilous, if neglected. Any symptom including dryness, loss of peripheral vision or loss of colour must not be neglected. Here, we have mentioned the symptoms of 4 common eye problems, prevailing among ​​the ​​elderly. After surpassing the fair age of forty, the crystalline lens in the eye hardens and loses its elasticity. This makes the eyes less susceptible to focus changes. Reading Glasses, progressive lenses or multifocal contact lenses might prove helpful for some time. However with the advancement in age, the lens hardens further and it may cause blurring of vision while performing chores requiring near sight vision, viz., sewing, working on the mobile, laptop or reading. AMD is a common cause for vision loss in the populace beyond fifty! 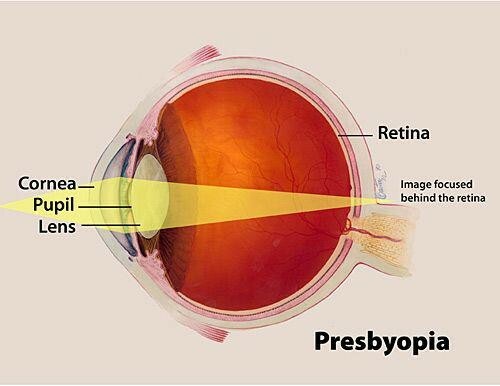 Macula is a small spot near the center of the retina built of millions of light sensing cells, responsible for clear and sharp vision thereby enabling us to see things straight ahead of us. 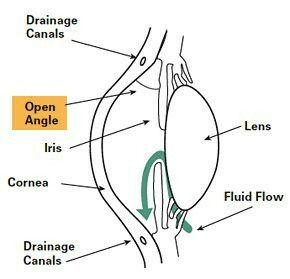 Degeneration of the Macula comes with the center field of view being blurred, dark or distorted. Over time, the blurred area may grow larger or you may develop blank spots in your central vision. Objects also may not appear to be as bright as they used to be. This partial darkness may slowly or immediately make the person go blind in one or both the eyes. T​he loss of central vision in AMD can interfere with simple everyday activities, such as the ability to see faces, drive, read, write, or do close work, such​​as​​cooking​​or​​fixing​​things​​around​​the house. 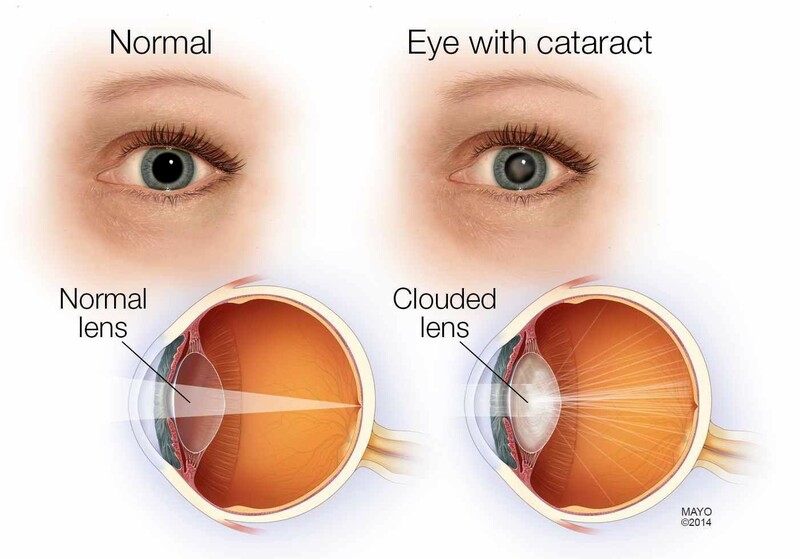 Cataract is a condition prevalent in the elderly, leading to clouding of the lens, thereby impairing vision. 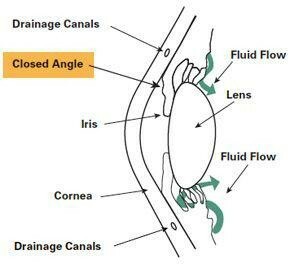 Our lens is made up of water and proteins. Due to age the proteins lose their orientation and can form cloudy clumps. Colors seem faded; Glare, headlights, lamps, or sunlight may appear too bright, a halo may appear around lights, poor night vision, double vision or multiple images​​ in​​ one ​​eye. Bill Gates remarked- ‘Treatment without prevention in unsustainable.’ Approaching towards the age of fifty, it becomes imperative for everyone to get a comprehensive dilated eye exam. Many symptoms may not appear unless examined. Certain eye problems are genetically inherited but some are due to improper lifestyle which includes long exposure to laptops and mobile phones, smoking, consuming alcohol and so on and so forth. A little alertness and a healthy lifestyle will eliminate the chances of permanent loss of vision. It’s time you take a dilated eye exam and let the ​​colours ​​fill ​​your ​​lives!